How much needs to be said about this news? 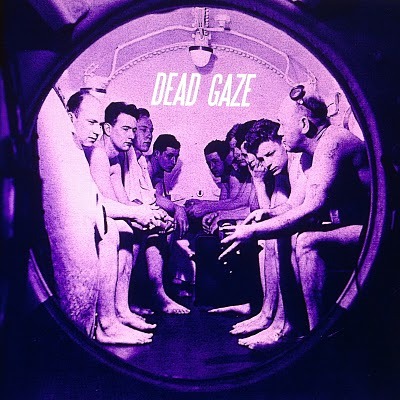 Dead Gaze releasing brand new songs brings the same amount of joy and buzz to my ears that it did last time, i.e. lots and lots of it. Here we have the two songs from his upcoming 7" on Fire Talk Records, both pure examples of Cole Furlow's wonderfully warped take on indie rock. Shimmering guitar riffs placed over echoed to death vocals and a ton of other blips and beeps, and of course the ever present topics of longing and loss thrown in for good measure as well. Put "Take Me Home Or I Die Alone" and "B.emanuel Can't Come Close Enough" on the ever growing list of this year's must hear lo-fi-ish gems, something like Eternal Summer's glissening songs, but if they decided to listen to more Pavement then chillwave, and turn up their amps.